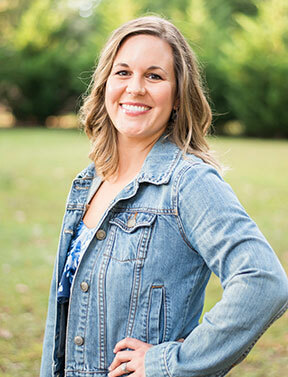 Dr. Jami Jo Studer was born and raised in New Haven, Indiana. In high school, she traveled to Haiti for a mission trip which jumpstarted her interest in medicine. She then attended Valparaiso University double majoring in Biology and Chemistry, with a special interest in dance. Six international trips later, she found herself in Ecuador performing dental work on patients as a dental student in 2007. At that point, she felt she had come full circle from her experience as a young teenager. After graduating from Indiana University School of Dentistry in 2008, she got married and moved to Chapel Hill, NC, where she spent two years at UNC Hospital for her residency. Once Dr. Jami Jo and her husband determined that they did not want to leave the warm weather of the south, they took an online quiz to help them figure out where to go next. Greenville, SC was on the list! All it took was one stroll downtown for them to fall in love with the area. She has been practicing dentistry in Greenville since 2010. She has gone to Guatemala several times with Family Dental Health to administer dental care to the local people through Hope of Life International. She stays active by running, hiking, biking, and chasing her two children around. She loves to cook, and you can always convince her to grab a cup of coffee! Being from the Midwest, you can find her family cheering for the Indianapolis Colts and the Chicago Cubs. Jami Jo grew up in a musical family and her most recent musical endeavor is learning guitar. Dr. Studer loves to meet new people and getting to know every single one of her patients.